Children can be booked for all day or half day sessions. Drop off from 9.15am, collection 3.30pm, $32.00 per session or $64 all day. Lunch is supervised for children staying all day. 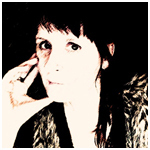 Stephanie is a self taught artist and full-time Art Tutor with 15 years’ experience teaching children and adults. She is Wellington based, but is regularly asked to tutor throughout New Zealand. She has also trained teachers in visual art education. Her own art has evolved over time as she has experimented and explored concepts within her selected medium, acrylics. She loves their diversity and glazing qualities. They lend her work a vibrant yet dreamlike quality: playful yet elegant, simultaneously surreal, quirky and whimsical. People who own Stephanie’s paintings say they slip quietly into these foreign yet strangely familiar landscapes, into the oceans of our shared imagination. In her tutoring she brings a unique capability to inspire and instruct, in the most down-to-earth, practical and accessible ways. She loves opening her students’ eyes to the visual world, and then empowering them with strong tools and techniques to explore and express what they see. For Stephanie, creating paintings is an ongoing passion. The thrill of painting comes from creating other worlds, beings and environments that reflect a sense of peace and playfulness but also hint at an element of risk and underlying danger. Inspiration comes as both images and ideas: experiences and words that inspire a story or a myth. Stephanie likes to produce works that move and captivate her audiences. To her, imagery is a powerful medium that can intrigue and provoke the viewer. Stephanie has had shows in Wellington, Auckland and the Kapiti Coast. She has also worked on various private commissions for individual collections in New Zealand and overseas. Stephanie also teaches children’s art classes, under the name ‘Art For Kids’ at her Shelly Bay studio in Wellington. 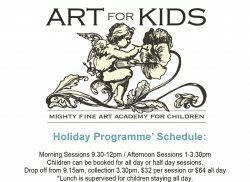 Art for Kids provides both term and holiday programmes for children. She paints at her home/studio on the Kapiti Coast.